Explore Florence on foot with a private half-day walking tour. 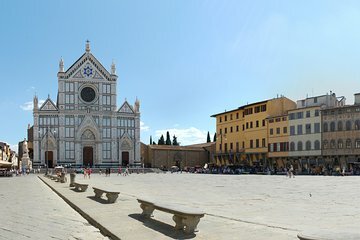 Join a kid-friendly guide to learn about the art and history of Florence while visiting the Accademia Gallery, the Leonardo Da Vinci Museum, and the Basilica di Santa Croce. Skip-the-line with priority access tickets and see famous works of art such as Michelangelo’s statue of David.